How on earth do you tell your family that you’d seen . . .
. . . Our Lady . . .
. . . The Virgin Mary . . .
. . . 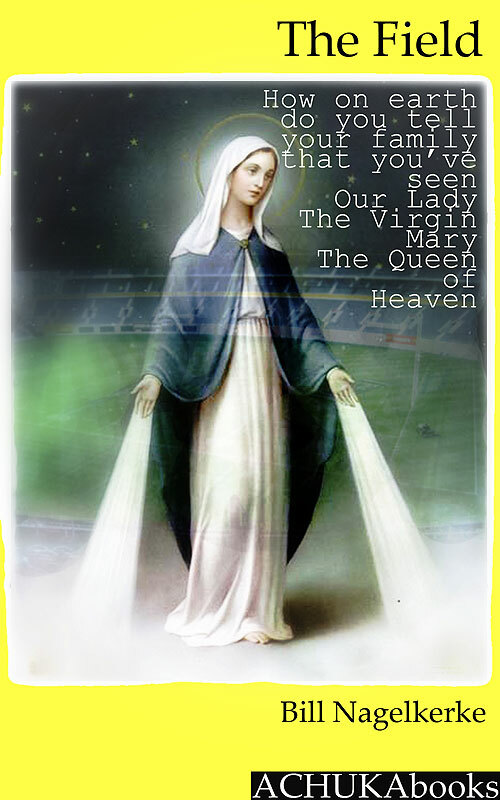 The Queen of Heaven . . .
And that she had spoken to you. And that she was going to speak to you again. Up in the Crow’s Nest. And that was why you had to be there. Jacinta’s father works as the groundsman for the local sports stadium, which they’ve nick-named The Field. While he tends to the needs of the stadium, Jacinta looks down on the world from the Crow’s Nest, the corporate box used by the big-wigs to get the best view of the games at the stadium. The Crow’s Nest is one of her favourite places in the world and she often pretends that she commands the players and places them where she wants them to go. She may not have her special place for much longer if the City Council gets its way and knocks down The Field to replace it with a carpark for the new stadium. It is while she is in the Crow’s Nest one day that Mother Mary appears to her in the television. Jacinta doesn’t know if she is going crazy and seeing things or whether her vision is real, but when Mary appears again the next day there is no doubt. Mary wants Jacinta to gather as many people as she can at The Field so that she can pass on a message. The only problem is trying to get her family and the rest of her town to believe her. The Field is a refreshingly original story from one of Christchurch’s own children’s authors, Bill Nagelkerke. The story had a real ‘Kiwi’ feel about it, from the setting (which could be just about any city in New Zealand) to the characters. Don’t be put off by the religious aspect to the story because I think you’d enjoy it whether or not you have any religious affiliation. I found Jacinta easy to relate to as she was just a normal kid, and I found myself wondering what I would have done if I’d been in her situation. In a way she’s a modern day Joan of Arc, who has to convince her parents, the priests and the other people in her city that she actually is communicating with Mother Mary and that they should listen to her message. One thing that I particularly liked about the story was that the second part was told using different forms of media, including newspaper articles, letters to the editor and City Council meeting minutes. This added different opinions to the story that we didn’t get in the first part. The ending leaves you wondering whether people do turn up to hear her message and what that message might have been. Like the other people in the story, we have to make up our own mind. The Field is one of the first ebooks I’ve read and it’s the first title in ACHUKA’s digital publishing imprint: ACHUKAbooks. I’ll look forward to reading their next releases. ACHUKAbooks are encouraging more submissions so if you are interested you can contact them at kindle@achuka.co.uk.